October 25, 2017 by Beeraj Patel, Esq. Created by the Immigration Act of 1990, the employment-based fifth preference gives eligible immigrant investors the opportunity to become lawful permanent residents, or “green card” holders. EB-5, officially known as the Immigrant Investor Program, was instated by Congress to stimulate the U.S. economy through the creation of new jobs and capital investment made by foreign investors. Like all preference categories, EB-5 requires immigrants to adhere to a number of strict guidelines and requirements. If all steps in the process are successfully completed, EB-5 investors, their spouse, and any children under age 21 have the option to become permanent U.S. residents. Qualification for EB-5 requires an investment to be made in a “New Commercial Enterprise” (NCE). This refers to any for-profit U.S. entity established to maintain ongoing and lawful business in the United States. In addition to new commercial enterprises, business propositions can also take the form of regional center projects. An overseas migration agent may assist you with choosing a suitable investment option. To be deemed eligible for an EB-5 investor visa, an entrepreneur must meet certain requirements enforced by U.S. Citizenship and Immigration Services (USCIS). A required minimum qualifying investment of $1 million (or $500,000 in a high-unemployment or rural area) is needed to maintain eligibility. This investment can be in the form of cash, inventory, equipment, tangible property, or cash equivalents. All capital is valued at fair-market value in U.S. dollars. Assets that have been acquired directly or indirectly by unlawful means are not considered capital. An EB-5 investor must also meet certain job creation requirements. To remain eligible for a visa, an entrepreneur must create full-time positions for a minimum of 10 qualifying employees. If there are multiple EB-5 investors involved in an NCE, each investor must create at least 10 full-time jobs. Full-time positions refer to at least 35 hours of work per week. These full-time jobs must be held by U.S. workers, which may include U.S. citizens, green card holders, and individuals in other employment-authorized immigrant categories. Job creation requirements are more lax for investors who are involved with a USCIS-designated regional center. EB-5 investor visas require a great deal of information and documentation that must be submitted to prove your source of investment and ability to create new jobs. 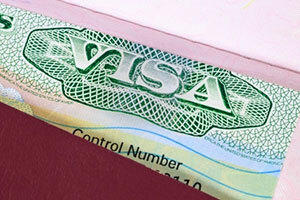 It can take several months to compile all of the necessary information for your visa petition. The entrepreneur must first submit Form I-526, or ‘Immigrant Petition by Alien Entrepreneur’, to USCIS. Processing time can take up to 478 days and requires a hefty filing fee. It’s not uncommon for immigration officials to request more information regarding your petition. EB-5 investor visas require a complex and document-heavy petition and your initial documentation may not always be enough to satisfy the USCIS. Asking for additional information is a normal part of the process that allows the government to gain a better understanding of your investment project and financial strategy. You do not have to hire workers immediately. To allow you time to hire and grow your business, the government will first issue you a conditional two-year green card. You will have two years to prove that you have met all of the conditions regarding the hiring of at least ten qualifying full-time employees. Approximately 90 days prior to the date that an immigrant first received the conditional residency, an I-829 petition must be filed. This new application proves that the investor met all of the requirements in the EB-5 program and would like to become an unconditional permanent resident. Most investors will receive their permanent green card about six months after the I-829 petition was submitted. Immigrant investor: A foreign national who invests capital in a new U.S. commercial enterprise or regional center project. Alien entrepreneur: An alien who obtains the legal status of an alien for permanent residency in the U.S.
Lawful permanent resident: A non-citizen who has been granted authorization to work and live on a permanent basis in the U.S.
Commercial enterprise: A for-profit activity that carries out a lawful business, such as a partnership, sole proprietorship, joint venture, or holding company. Regional center: An economic unit – either private or public in nature, that works towards the promotion of economic development. Conditional resident: An EB-5 applicant who has the same rights and obligations as lawful permanent residencies, but must meet certain conditions within two years to gain permanent residency. Petition: In association with EB-5 investor visas, a petition refers to the submission that is made by an applicant to the USCIS. 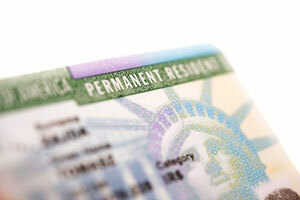 Green Card Holder: A lawful permanent resident without an expiry date or conditions attached to residency in the U.S. While EB-5 investor visas provide ample opportunities for foreign investors to come to the United States, there is current a cap on how many EB-5s are available annually. Each fiscal year, there is a maximum of 10,000 EB-5 visas available. Not only are investors included in this number, but also the investor’s family members including spouses and any children under 18. However, the actual number of EB-5 investor visas is typically much lower than the max. In 2007, just 700 visas were issued to investors. It wasn’t until 2014 that for the first time ever, the Immigrant Investor Program reached its quota of 10,000 visas and was forced to stop accepting new applications. If you are an investor, it’s best to have the professional advice and legal representation of a qualified EB-5 immigration attorney. An immigration attorney can help guide you through the application process and ensure that you’re not missing any crucial information that could delay your approval. At Pride Immigration in Fairfax, VA, our experienced immigration lawyers know exactly how to navigate through the U.S. immigration system to ensure a successful outcome. Our full-service law firm has worked with investors in the past to streamline the process. Before pursuing any action, contact us to schedule a consultation.